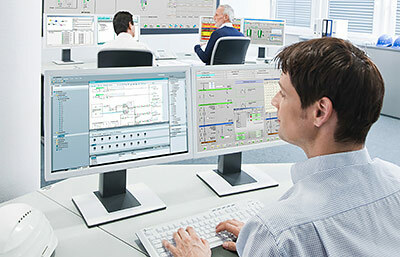 Siemens Industry Software Partner in Romania, we offer a complete suite of CAD / CAM / CAE / PDM / DIGITAL FABRICATION software solutions for design, digital manufacturing and data management. 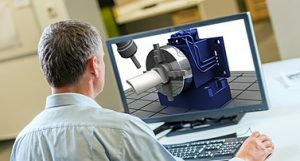 If you’re like most manufacturers, your design engineers work in different locations using a variety of mechanical computer-aided design (MCAD), electronic CAD (ECAD), software development, and simulation tools from multiple vendors. 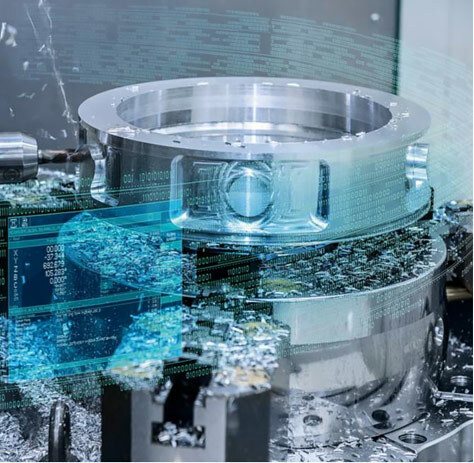 Even if you’re using your MCAD system’s product data management (PDM) software, it is also a challenge to see how a product’s parts and components work together when they are designed in separate tools. Add the complex interaction of integrated mechanical, electronics and software components, and creating a complete product design becomes a greater challenge. Teamcenter takes PDM to a whole new level. Teamcenter provides cross-domain design data management through integrations with the MCAD, ECAD, software development, and simulation tools and processes your design teams use every day. You can manage, find, share and re-use multi-domain data across geographically distributed design centers through a single, secure source of product design and simulation data. You can understand the complex relationships and dependencies between requirements and all the subsystems and design domains across all the possible configurations of the product, even as changes are introduced. 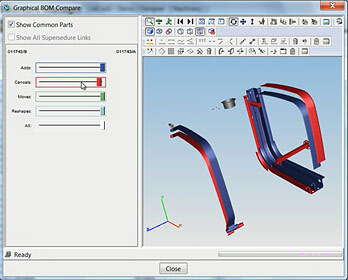 You can also create assemblies from parts generated by multiple suppliers that involve complex interactions of subsystems, then prepare and validate the readiness of the design and bill of materials for fabrication, assembly and test. By integrating your current multi-domain design tools with Teamcenter, you can transform otherwise disconnected tools and processes into a single, cross-domain design data management environment that enables you to lower costs, improve quality, and increase design productivity. 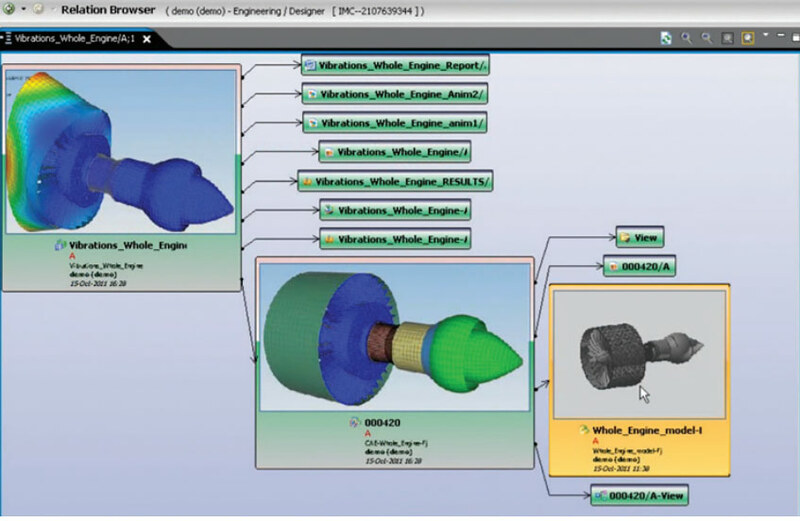 Teamcenter provides design data management with multi-CAD support so that your design teams can create, manage, visualize, validate and re-use native design data across a wide selection of MCAD systems, including NX and Solid Edge from Siemens PLM Software, as well as AutoCAD®, CATIA®, Inventor®, Pro/ENGINEER® and SolidWorks®. Using our JT 3D visualization standard, you can create integrated multi-CAD designs using parts and components from different MCAD tools. You can collaborate on designs, even if you don’t have access to the MCAD tools that authored them. 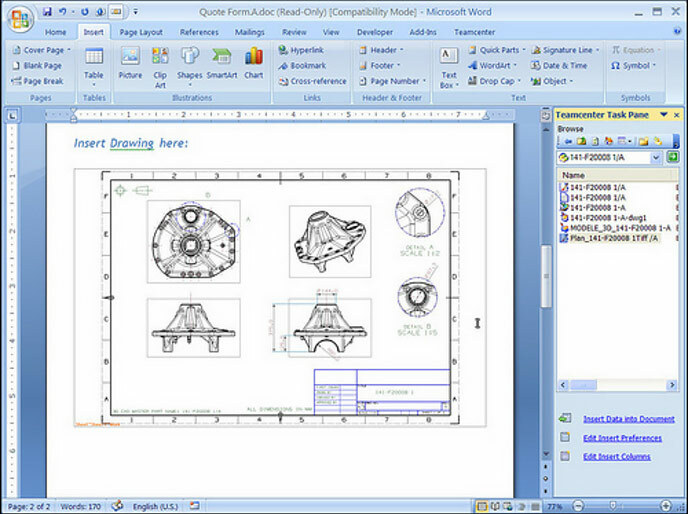 Teamcenter supports integrations with all major ECAD systems. The rich design data management capabilities for printed circuit board (PCB) and wire harness release management enable you to find the right data quickly. The enterprise-wide ECAD parts library management reduces costs by eliminating inconsistent and inaccurate ECAD part data. 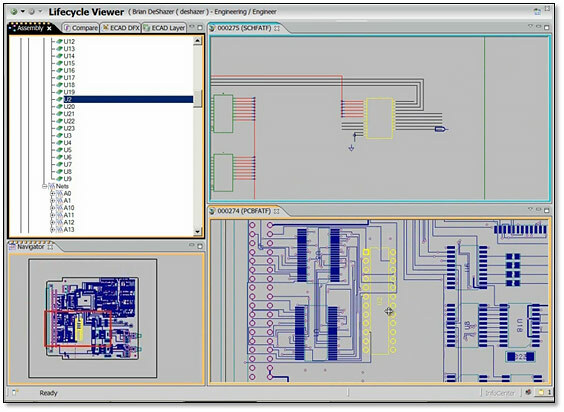 The ECAD viewer, ECAD-MCAD exchange support and assembly/test analysis tools promote close collaboration within and across domains and organizational functions. Teamcenter provides software design data management by integrating software engineering data and processes with product lifecycle management (PLM). Leveraging a multi-domain lifecycle integration framework, Teamcenter enables the seamless integration of application lifecycle management (ALM) tools, data and processes. With this ALM-PLM integration, you can manage your software designs in a holistic product view, and manage software design processes as an integral part of the overall product lifecycle. Teamcenter can help you validate performance targets by simulating products across a variety of multi-domain and multi-physics issues. Using Teamcenter capabilities specifically designed for managing models, simulation data, and simulation processes, you can quickly derive and generate the computer-aided engineering (CAE) structure from the MCAD or ECAD structures. 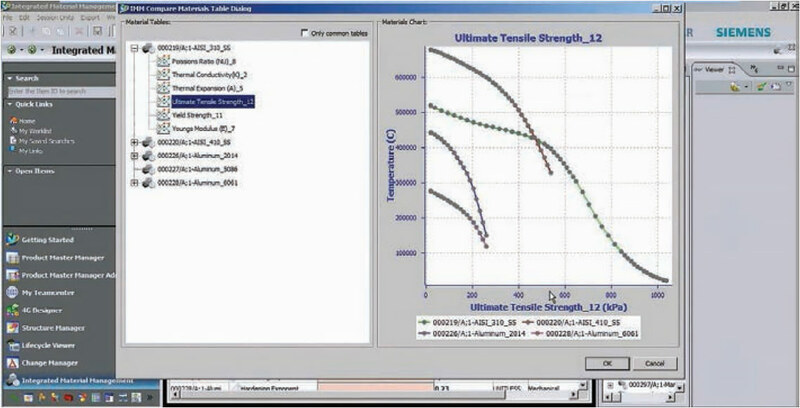 For complex products, you may use tens or hundreds of different simulation tools to verify performance targets and meet validation contracts. Teamcenter provides a framework for codeless integration with these tools so that data from Teamcenter can be delivered to the tools. Results can then be captured and stored in Teamcenter along with all the correct associations to design and requirements data. In the course of the product lifecycle, your teams create specifications, analysis reports, 2D/3D illustrations, spreadsheets, test results, and technical publications. Every document must be accurate and completed on-time. As products and markets become more diverse globally, it becomes more difficult to keep your documents up-to-date with product development and market changes, especially when you’re under the pressure of ever-tightening schedules. 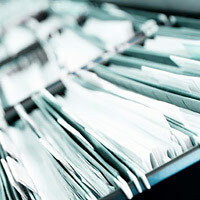 Document and content management is critical to your success. Teamcenter document and content management solutions manage documents and technical publications in the same product lifecycle management (PLM) system as all your other product-related information. Your authors have direct access to product information as the products evolve, and can work to the same milestones. You can keep your product design and documentation aligned with product changes to reduce the time and cost of documentation while improving quality and delivery. As you develop more innovative and varied products, you need more advanced technical publishing software. The Teamcenter document and content management solution provides structured authoring and publishing with XML and document components. With Teamcenter, you can control the entire technical publishing process from creation, through review and translation, to delivery. 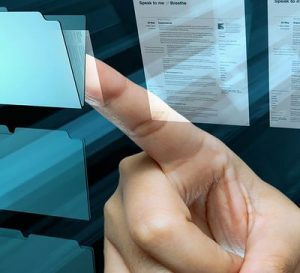 You can efficiently re-use content to simplify document production, and use authoring standards like S1000D and DITA. With the integration of Cortona3D RapidAuthor, you can include interactive 3D graphics in place of multiple pages of text. You can ensure the accuracy of your product content and provide both text and graphics for highly effective, interactive technical documentation. With the document and content management solution in Teamcenter, you can reduce the manual effort of document production. 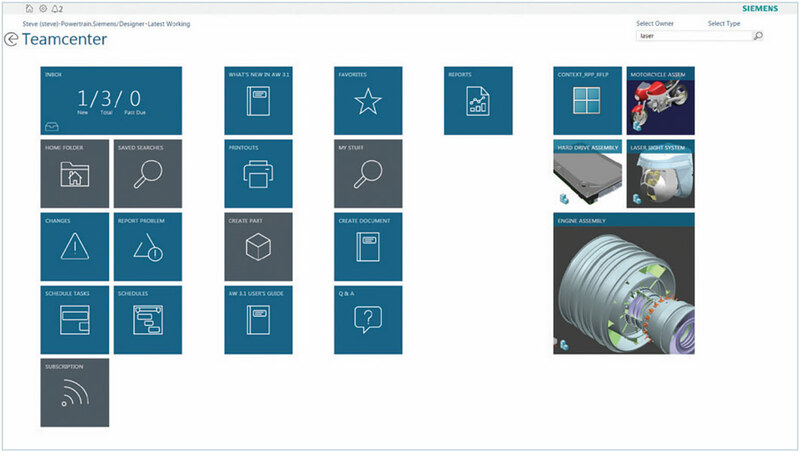 From any PLM application, you can create documents that are managed in Teamcenter. You can use templates to create documents with consistent content, insert content by relating documents to product structures, and sign and release documents as they are approved. 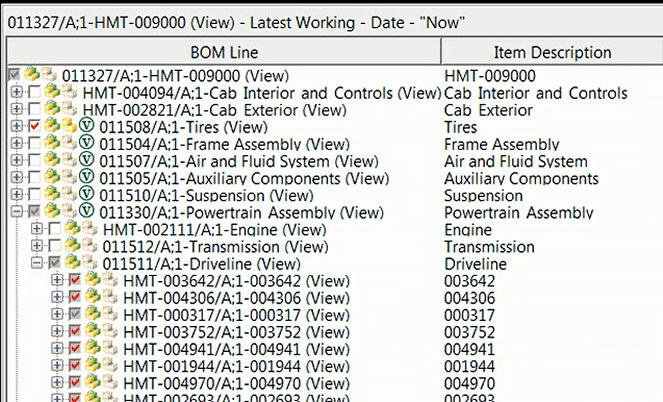 Documents can incorporate product data directly with links to the related data for alerts to product changes. You can retain documents in Teamcenter that are related to specific product configurations and revisions, so they can be re-used and referenced for future product development. Most people use Microsoft Office® to get their work done. Teamcenter has embedded Office applications across the PLM portfolio, so most of your product-related documents can be created and edited with Office. You can search for product data; create, edit, check-in, check-out and submit documents; and participate in workflows directly from your favorite applications. You can edit bills of materials (BOMs) with Excel®, create requirements documents with Word, or sign-off on reviews from Outlook®. Because you and your teams already know how to use Office, for most users there is no learning curve to use PLM and therefore no formal training required. Effective BOM (bill of materials) management and BOM configuration are critical to your success, whether your product consists of ten parts or ten million. As you develop more innovative products in order to remain competitive, managing accurate product definitions, including bills of materials, becomes increasingly complex. You need to coordinate the upfront planning of available options and features to meet customer demands, as well as connect with a growing number of partners and suppliers who need to be linked with manufacturing, service and support. All this means that the breadth and depth of your product definition are changing and growing. How do you manage it? How well do you really know your product? Teamcenter helps you know your product by providing a common source of BOM information across your organization. Whether you need basic BOM management, or more advanced BOM management and BOM configuration with greater flexibility and scalability, Teamcenter BOM management can help you meet and exceed the market demand for more innovative and varied product offerings. Teamcenter provides a single, accurate product definition for all who interact with the BOM. 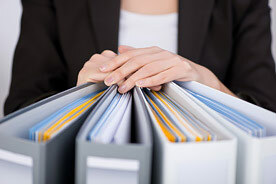 With flexibility in how you define and manage your BOM, you can provide a complete, up-to-date source of information that eliminates the need for standalone spreadsheets and systems. This accurate product definition is critical to managing all BOM configurations. The BOM management and configuration capabilities in Teamcenter help you handle more product options without additional effort. You can be more flexible in responding to your customers’ needs, and quickly refresh product lines to meet their demands. Decision-makers across your product lifecycle have greatly varied needs when it comes to working with the product definition – there is no single way to look at all that information. With Teamcenter BOM management and configuration solutions, people across your organization have secure access to a tailored BOM view that’s relevant to their role and their tasks. Whether they work in product development, manufacturing, service or the supply chain, everyone can see and work with the product definition in a meaningful context for them. One of the biggest gaps for many companies is the link between the virtual product definition and the physical, delivered product. You might be developing products with limited ability to virtually validate whether they can actually be built. You might be relying on costly prototypes, or virtual tests of only a few valid product configurations. Teamcenter BOM management ties your virtual and physical product definitions together, providing accurate digital validation and simulation. You can digitally validate your products, ensuring that what has been designed can actually be built. With “realized products,” you can eliminate costly prototypes and errors later in the process. 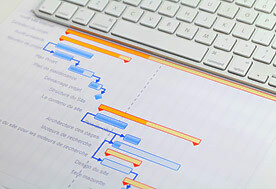 BOM management and configuration begins long before a single drawing is made, and continues long after the first part is produced. Teamcenter supports up-front planning and master product definition, through design, development, manufacturing, service and more. In addition, Teamcenter helps you integrate your BOM information across other enterprise systems, such as enterprise resource planning (ERP). You can implement integrated BOM management to eliminate the costly errors associated with independent, standalone BOM sources. 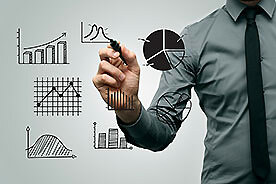 With consistent BOM information across systems, you can ensure cost-effective execution of the products you plan for. Across your business, people are wasting a lot of time. Without effective product lifecycle management (PLM) process execution, they waste time working with out-of-date information, figuring out what’s next in a process, or searching for the information they need to get their jobs done. They waste time tracking down task status and reconciling information between their project management and work execution systems. Wasted time is wasted money. What if you could more effectively manage the work people do? With Teamcenter, you can bridge the gap between planning and execution by reducing the manual effort and cost of managing and tracking any PLM process. You can focus people on the right tasks, with the right data, to make the right decisions at the right time. With Teamcenter, you can automate product development processes, regardless of how simple or complex they are. You can create workflows that build-in your business logic, and define standard process templates to enforce best practices and eliminate errors. Instant status, history and audit trails ensure you have complete control and visibility of your processes. 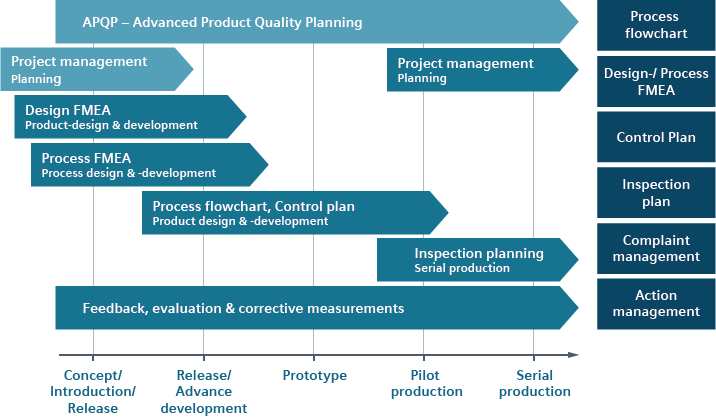 With effective product development process management, you can give everyone exactly what they need to complete their task at the right time. Teamcenter includes project and program management solutions that help you bridge the gap between project planning, execution, and the data and deliverables that are the inputs and outputs of the whole PLM process. 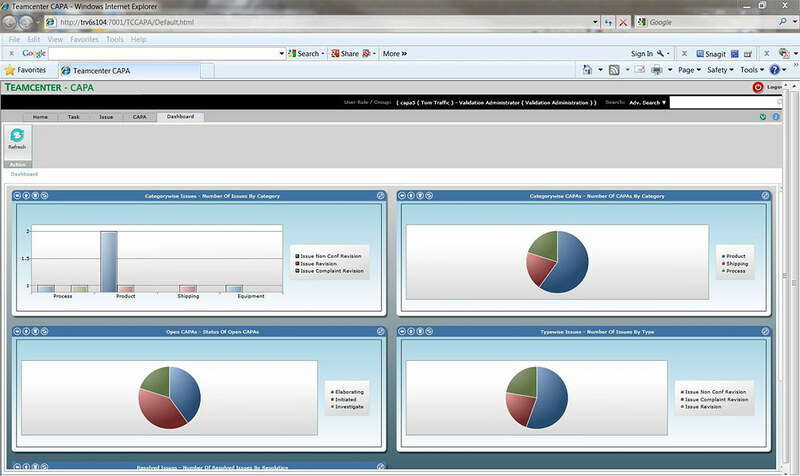 With a single, integrated solution, you can more effectively manage programs, projects, resources, tasks and schedules. Change management is a critical PLM process. Teamcenter delivers end-to-end, closed-loop product change management so you can synchronize change and integrate your change processes across all product domains. With flexible change management powered by PLM, you can implement change quickly, accurately and comprehensively. With Teamcenter product development process management, you can take the right products to market at the right time with a holistic view of information to optimize your portfolio. You can leverage best-in-class enterprise portfolio management tools to determine what should be executed by aligning your product and project portfolio with your revenue targets and strategic objectives. With enterprise portfolio management connected to a PLM process, you can make smarter portfolio decisions with a clear understanding of what can be executed. With PLM and portfolio management working together, you can ensure you have the time, people, and money to meet your targets. Studies repeatedly show that no development process will result in a successful product offering unless the products you deliver are rigorously aligned and continually verified against accurate marketplace requirements and customer expectations. Requirements management provides the guidance your teams need to develop and deliver the right products. Product requirements come from a variety of dynamic sources in the form of governmental regulations, industry standards, company mandates, market needs, contractual commitments and consumer expectations. Not only do you need to keep up with the ever-changing requirements from these sources, but you also need to update and share your product requirements within your product development and manufacturing teams, as well as your supply chain, in order to keep your products compliant. The Teamcenter requirements management solution can help you capture and communicate requirements from every source to product decision-makers. By integrating requirements management with product lifecycle management (PLM), requirements are elevated from isolated, standalone spreadsheets and documents to be visible to everyone who participates in the product lifecycle. With the Teamcenter requirements management solution, you can accurately trace, continuously verify and reliably maintain requirements information across your organization. Whether you work in product development, manufacturing or the supply chain, you can refer to requirements to make the right decisions to deliver the right products. With the Teamcenter requirements management solution, you can establish a single, secure source of requirements. You can create, edit, review and approve requirements from your computer or mobile device using familiar Microsoft Office® applications like Word and Excel®. 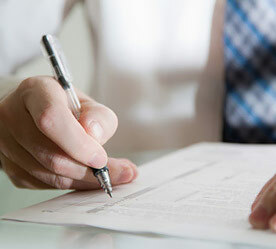 You can import and exchange requirements documents with other tools and standard formats. Once requirements are captured in Teamcenter, you can easily search, access and maintain them in the same PLM system you use to manage the rest of your product information. Requirements are easy to find, share and re-use across multiple products or projects. If your product or contractual requirements include schedule and cost targets, you can use the Teamcenter requirements management solution to connect requirements to projects, tasks and resources. You can monitor your requirements and program constraints to make the best design decisions or delivery commitments. With this level of requirements traceability, you have better visibility into project status, risks and the potential impact of change. When requirements are managed in isolated, standalone spreadsheets and documents that only a few people can see, the requirements are difficult to maintain as the product changes throughout the lifecycle. 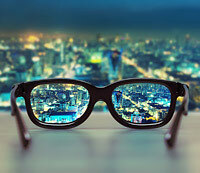 It is also difficult to make decisions without visibility into requirements. With the Teamcenter requirements management solution, you can allocate requirements to domains or functions, so they are visible to decision-makers in development, test, manufacturing, maintenance and service teams. Everyone can see their role in the development process, make informed decisions to meet product requirements, and plan their work accordingly. You can create a sense of accountability for requirements across your organization, and continuously verify compliance with requirements throughout the product lifecycle. The Teamcenter requirements management solution provides you with visibility into the impact of change, so that you can make the necessary decisions needed to mitigate the risk of product changes that conflict with requirements. Whether you work in engineering, manufacturing, sourcing or service, when your requirements are connected with the rest of your product information in Teamcenter, you can intelligently assess and communicate the impact of a change across the whole product. You can investigate the change from a graphical display of items and all their relationships across the product lifecycle. When a change is made, you can use requirements verification tools to quickly identify if any requirements are no longer being met. A service lifecycle management (SLM) strategy can help your company deliver the greatest product value to your customers while building-up service revenue and profit. 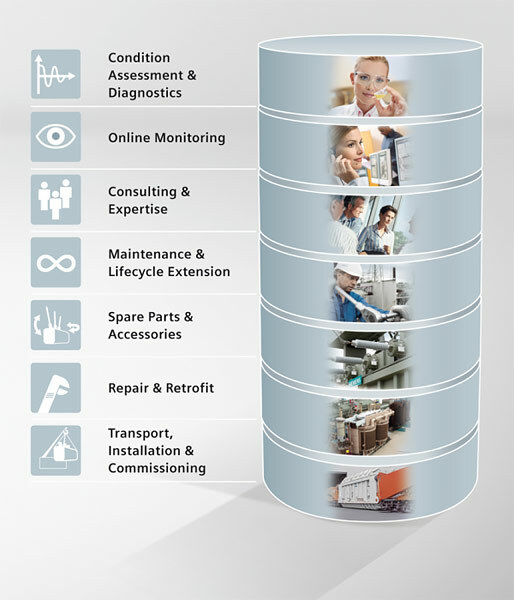 With Teamcenter SLM solutions, the service and support phase of the product lifecycle is included in your overall product lifecycle management (PLM) vision. For manufacturing companies, Teamcenter unifies SLM with PLM to support bi-directional collaboration between product engineering and service operations. Your service teams can capitalize on the re-use of product knowledge from engineering and manufacturing to improve service planning and execution. In return, service teams can provide feedback to engineering to improve product designs for serviceability and reliability. For service companies, Teamcenter provides enterprise asset management and service lifecycle management solutions, so service disciplines can share a common understanding of support requirements. Service teams can communicate and coordinate operational activities for greater compliance, faster service and lower costs. With Teamcenter as the core of your SLM strategy, you have one source of service knowledge management. You can perform service activities with a full understanding of physical product (asset) configurations, status and service history. You can order the correct parts, ensure that the proper training is done, and access all the appropriate information necessary to manage service operations. Service plans are the key to profitable service operations. Teamcenter provides you with the fundamentals to author and publish service documentation as the source of work scope definition. You can drive service operations by providing all the detailed information that teams need to track and understand asset health, such as service requirements, task-by-task procedures, necessary resources and utilization characteristics. 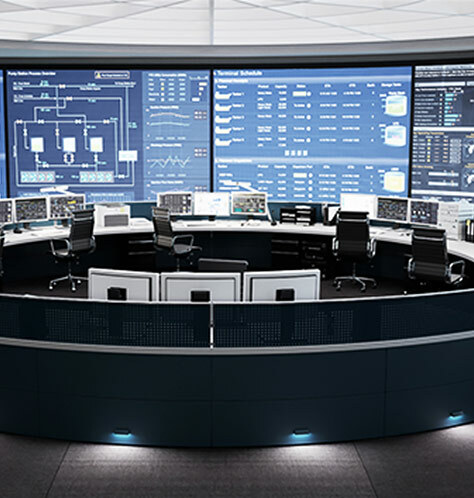 Your technicians have a complete understanding of service needs from Teamcenter, so they are prepared to perform reactive, proactive and upgrade service activities. With the detailed service plans in Teamcenter, you can schedule service activities with a complete understanding of the work scope, in order to meet customer expectations for product availability and reliability. Work orders generated from service plans are used to create service schedules. It is the visibility into the schedule and resources provided by Teamcenter that allows you to optimize service events and ensure that the right resources (parts, qualified people and tools) are reserved for the work. Service technicians are a limited resource. When you provide them with complete, intelligent work packages, technicians can execute service work efficiently, accurately and compliantly. With Teamcenter, you can deliver service work instructions, safety/hazard notes, and service procedures (text, 2D/3D and animations). 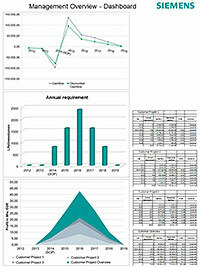 You can also include asset configurations and data collection requirements. Technicians can enter data, observations or discrepancies, and digitally signoff on work, which automatically updates the service schedule. Supplier integration is critical to success in today’s market. Increased complexity and compressed production cycles are driving products that are designed and validated by globally dispersed teams, including suppliers. As your suppliers assume more responsibility for greater portions of your products, you need them to interact with people across your business, such as purchasing, engineering, compliance, quality, and manufacturing, to increase productivity and reduce the risk of recalls and non-compliance. 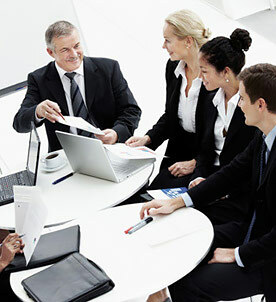 Teamcenter supplier integration capabilities – such as a supplier collaboration portal, vendor management, and design data exchange – provide a comprehensive approach to managing interactions with suppliers. You can coordinate processes and manage information, both internal and external, across all stages of your product lifecycle. You can drive early supplier involvement in product development and provide visibility into accurate supplier information across departments. 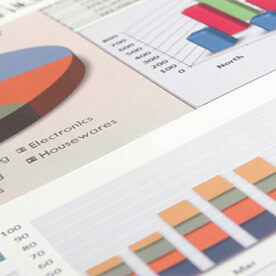 Supplier information can be managed in context with the product structure to provide holistic views of your product. You can make better decisions about purchased components and have access to reliable supplier analytics. With Teamcenter supplier collaboration, you can extend your product lifecycle management (PLM) processes and data to your non-Teamcenter suppliers efficiently through real process integration. You can collaborate with your suppliers through interactions including design data exchange, direct materials sourcing and supplier program management, all using the same PLM supplier collaboration foundation. Collaborating with your extended supplier teams is made easy with an intuitive supplier portal to receive requests and submit responses, and a cloud-ready framework for ease of deployment. 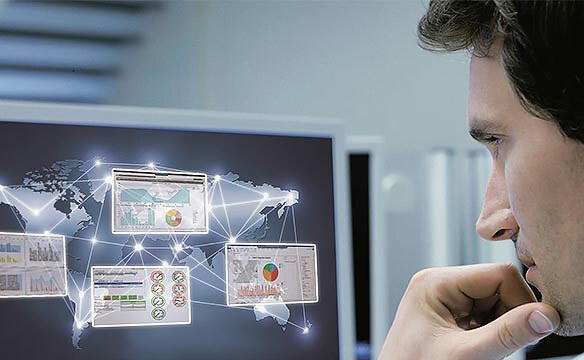 Supplier collaboration for design data exchange with your non-Teamcenter suppliers provides you with an efficient, secure, and scalable supplier integration solution for exchanging product data. As a “sponsor” in Teamcenter, you can create packages of information to share with your suppliers (including CAD designs, specifications, JT files, etc. ), and then initiate an exchange process with them. Your suppliers use a secure web portal to receive requests and exchange packages from you, and they can use the same portal to upload and submit responses back to you. The Teamcenter data share manager, accessed through the portal, simplifies the upload and download of large files. The briefcase browser enables suppliers to browse through compressed CAD files and open the files in their native CAD systems, where the CAD files can be modified and saved back to the briefcase browser. 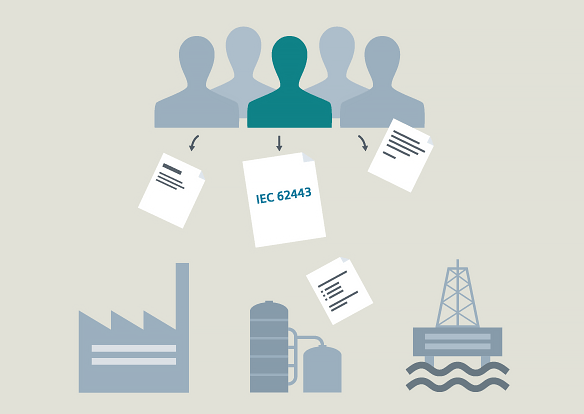 Traceability, audit and version control enable efficient, effective and transparent process execution, ensuring that you and your suppliers are working with the right data. Direct materials sourcing provides a platform for enabling efficient early bidding processes featuring RFx (request for information, proposal or quotation) template authoring, controlled processes for event management, automatic tracking and communication, detailed cost breakdowns, bid analysis and award nominations, etc. Authorized bidders can receive and access bid requests bundled together with part specifications, reference data and instructions using a secure supplier portal. 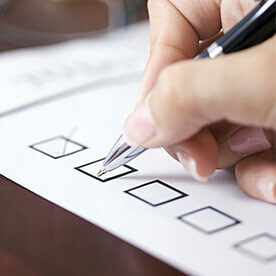 Bidders can then use the supplier portal to submit their responses back to you in Teamcenter. 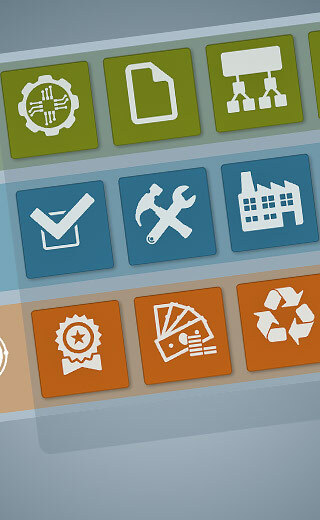 With direct materials sourcing in Teamcenter, you can understand cost drivers early in the product lifecycle and understand supply chain impact before changes are approved. 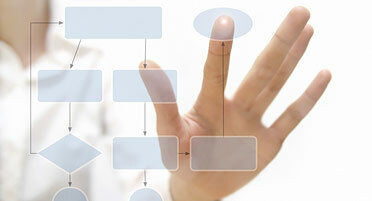 With supplier program management, you can plan and execute supplier projects within the context of an overall program. This provides visibility into and traceability of supplier deliverables, to reduce your cycle times and shorten time-to-market. You can initiate data sharing from Teamcenter task workflows and assign tasks to suppliers who are not internal Teamcenter users. Your suppliers receive notification of task requests through a secure supplier portal, which include instructions and reference data, and they can respond to the requests by uploading and submitting their deliverables. After approval, incoming deliverables from suppliers can then be aggregated to the product definition in Teamcenter. 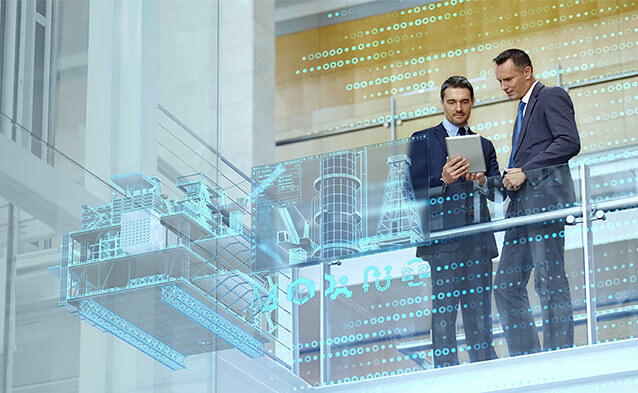 Working with our partner Atos and their Supplier Connect solution based on Teamcenter Supplier Collaboration, you can leverage Atos’ expertise as a business technology integrator together with our global leadership in PLM software. With Supplier Connect, you can integrate insight, intelligence and operations more effectively and completely – at every phase – with your suppliers. 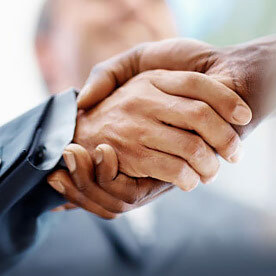 Supplier Connect enables you to achieve best practices easily, seamlessly and quickly through simplified set-up with customized consulting and service offerings, effective business support, secure usage and operations and a technology framework including leading software components. Teamcenter supplier integration enables close collaboration with suppliers who have authorized access to your Teamcenter environment. Using multiple Teamcenter clients, multi-site collaboration and lifecycle visualization, you can selectively share and synchronize supplier data, all within a secure, controlled PLM environment. Teamcenter can help you and your suppliers make better decisions and increase productivity across engineering, procurement and compliance. In order to stay competitive and distinguish yourself in the marketplace, you must reduce product and operating costs while improving product quality. Every day you make trade-off decisions between cost, time and the need to meet customer requirements. Quality issue management is critical, because making the wrong decisions can have a devastating impact on your business. Despite the priority you give to product quality, your teams may still have difficulty getting the information they need. The Teamcenter solution for quality issue management and corrective and preventive actions (CAPA) can help. You can capture complaints, defects and non-conformances across your entire organization simply by including your enterprise quality teams within your product lifecycle management (PLM) system. With product engineering and production planning simulation and validation toolsets in Teamcenter, you can be more proactive in preventing non-conformances and creating high-quality products. With Teamcenter quality issue management, you can follow a consistent formal process to systematically investigate, analyze and resolve quality issues using 8D and ISO industry standards. By streamlining your definition of preventive measures, you can prevent future re-occurrences of product issues. Quality data reports and analysis of the results is easy, with intuitive tools that include drag-and-drop capabilities to customize reports to your own needs. 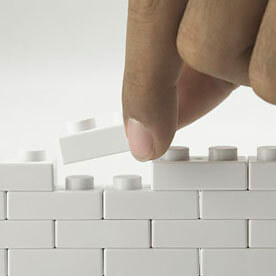 Quality issue management in Teamcenter is built on an enterprise-scalable foundation. 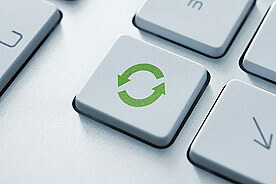 You can use closed-loop issue resolution processes for identifying, analyzing and sharing critical product quality data. Your design, manufacturing and quality improvement teams can share the same views of the information they need to directly impact Six Sigma and lean initiatives. With an intuitive user interface, people across the enterprise can easily participate in quality processes with minimum training required. Quality issue management in Teamcenter allows you to have visibility into critical product quality characteristics, failures/non-conformances, and resolutions to those issues. You can take control of the entire quality process across your global enterprise with configurable dashboards, along with sophisticated linking of all decisions, analysis and results. From issue capture to engineering change notices, you can streamline your quality initiatives to reduce the overall cost of quality. When you’re developing a new product, you need to be innovative. You need to understand the market opportunity. You need to deliver a quality product, and the timing needs to be right. Perhaps most importantly, you need to be cost-conscious. 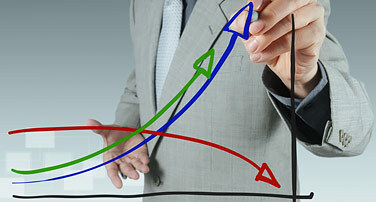 No matter how great your product is, it cannot be successful without profitability. The Teamcenter product cost management solution helps your products succeed with product costing capabilities you can use at the time when decisions matter most: in the early stages of the product lifecycle. You can simulate, analyze and optimize your product costs to make the right decisions at the right time and ensure product profitability. An extensive and cost-relevant database allows you to simulate different scenarios, including production sites, machines, and pre-configured reference processes for numerous manufacturing technologies and cost rates. With the profitability calculation, executives and managers can secure product investments by predicting future unit costs and prices over the entire product lifecycle. With product cost management, you can transparently break down annual costs, revenues and cash flows and provide the basis for relevant indicators, such as internal rate of return, net present value, and payback periods. Using the discounted cash flow calculation, you can determine the profitability of your projects as well as compare projects and programs in your company (including return on investment, return on capital employed, and return on sales) to make the best investment decisions. With the purchase price analysis included with Teamcenter product costing, as a buyer or procurement officer, you can run reliable cost estimates of supplier parts on different commodities ("shadow calculations"). Teamcenter product costing also helps you in cost structure negotiations and value engineering workshops with suppliers. Based on these cost estimates, you can negotiate future target prices or purchase prices based on reliable cost details. If desired, you can establish an open-book policy. You can represent the entire price structure of your products in Teamcenter, and cost engineers can see the impact of development-related changes on the price at any time. You can identify the cost drivers early in the development process, and suggest alternative solutions. With the opportunities for cost simulation in Teamcenter product cost management, such as comparison of manufacturing technologies, you can also reproduce different scenarios for manufacturing. Teamcenter helps you negotiate with your customers using "optimized but comprehensible" cost data in customized formats. You can use and explain this data in open-book conversations with the customer’s costs experts to establish your price. By presenting a clear cost structure and plausible breakdown of the product costs, you have a stronger negotiating position in cost negotiations. With the Teamcenter solution for tool costing, you can create timely and reliable cost estimates for the quotation and tool cost analysis. Teamcenter provides a variety of tool technologies, including injection molding, die casting, and composite tools. You can read the 3D data automatically or manually create the geometry parameters. Both the tool buyer and the tool maker – whether injection molding, die casting, cutting, stamping, or other production tools – can make decisions regarding the tool costs that are fully integrated within the Teamcenter product cost management solution. Having access to a full portfolio of product lifecycle management (PLM) applications for data, project and process management is essential to your success. However, it takes a solid underlying foundation of PLM platform capabilities to build a total PLM solution in your enterpise, including visualization, collaboration, reporting and analytics, and integrated material management. Teamcenter provides these key PLM platform capabilities for you to leverage, regardless of where you are in your PLM journey. 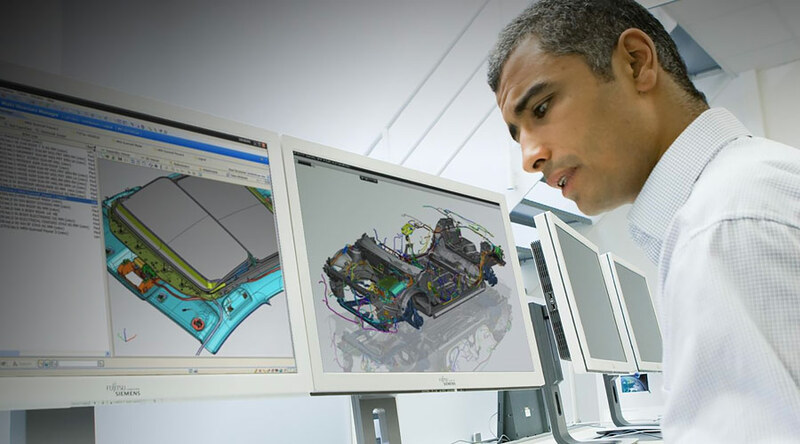 PLM visualization, built on top of industry-standard JT technology, delivers high-performance visualization and virtual prototyping capabilities so that you can analyze and validate 3D designs created from multiple CAD systems. Reporting and analytics allow you to see the big picture to establish, measure and analyze key performance metrics for driving processes and product improvements across the product lifecycle. With reporting and analytics you can create complex reports and dashboards with ease and always keep a finger on the pulse of your company, so you can make more informed decisions. Material information and how it is managed can have a profound effect on your product’s lifecycle, and often plays a role in the success of the product. Teamcenter provides holistic, integrated materials management to help your company create innovative, sustainable products. Teamcenter community collaboration integrates the ad-hoc collaboration data and capabilities in Microsoft SharePoint® with Teamcenter, allowing you to securely share PLM data. This PLM capability allows you to informally collaborate within your smaller team, before promoting the formalized results of your collaboration into Teamcenter. Robust foundation PLM capabilities support every Teamcenter application. Powerful search makes it easy for you to find what you need in order to do your work. Industry-leading security protects your intellectual property. You can make sure that everyone in your company has immediate access to the latest data regardless of network connections. You can also manage and coordinate multiple Teamcenter deployments in your global enterprise. Teamcenter provides software design management by integrating software engineering data and processes with PLM. Leveraging a multi-domain lifecycle integration framework, Teamcenter enables the seamless integration of application lifecycle management (ALM) tools, data and processes. 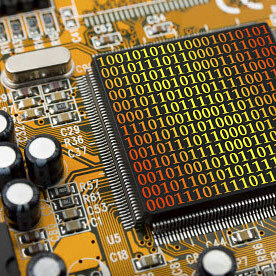 By definition, embedded software has an intrinsic interdependency with electronics hardware and mechanical parts. With ALM-PLM integration, you can manage, link and trace your software requirements and design objects (functions, test cases, models, etc.) to data from all the interdependent domains. You can better understand all the cross-domain relationships and dependencies in all phases of the product lifecycle. From requirements to delivery and maintenance, you can manage the software lifecycle in the context of the entire product to accelerate product introduction, lower costs and improve quality. Teamcenter helps you effectively manage the bill of materials (BOM) as a critical part of your product lifecycle by providing clear, current and accurate product definitions and configurations, specific to the needs of teams and users. 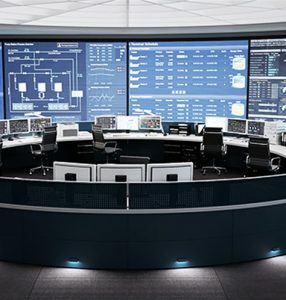 You can extend BOM management beyond design and development to include upfront configuration and planning as well as downstream manufacturing, service and support. Teamcenter Rapid Start’s multi-CAD data management for mechanical computer-aided design (MCAD) enable you to create, manage, visualize, validate and re-use native design data from a wide selection of MCAD systems, including NX and Solid Edge from Siemens PLM Software, as well as AutoCAD®, CATIA®, Inventor®, Creo® Parametric, and SolidWorks®. Using our JT 3D visualization standard, you can collaborate on designs even if you don’t have access to the MCAD tool that authored them. By establishing a single, secure source of product data, regardless of MCAD authoring tool, you have access to the information you need to make better decisions across your organization. Teamcenter Rapid Start helps you create and manage essential engineering documentation along with the rest of your product and process data. You can easily access Teamcenter from the familiar Microsoft® Office applications you use every day to generate reports and documents. Teamcenter® software’s requirements management capabilities provide your enterprise with a systematic and repeatable solution for defining, capturing, engineering, managing and leveraging product requirements. 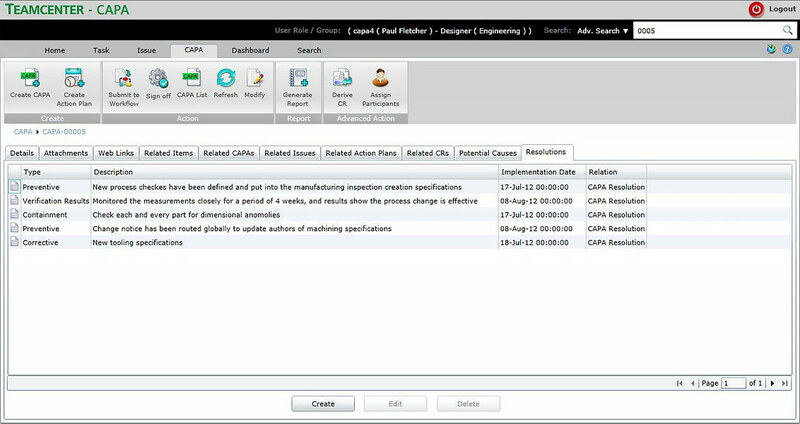 By allowing you to understand each product in terms of its evolving customer requirements and compliance issues, Teamcenter enables you to build in the voice of the customer and continuously verify conformance to requirements throughout the product lifecycle – thereby facilitating requirements-driven design, systems engineering, design-to-cost and other highly valued business initiatives.